Atomic changed the name, but not the singular purpose. The Backland UL 78 is a ski mountaineering weapon. The ski is capable of slicing and dicing on hard snow, while remaining playful in soft snow due to the lightly rockered tip. The double-carbon constr.. This durable pant will serve you well through all your ski mountaineering dreams and cold, hard realities. Using Singtex® 10000 fabric, the Crazy Idea Acceleration pants are waterproof, windproof, yet breathable to keep you warm but not overheat. It’s not.. 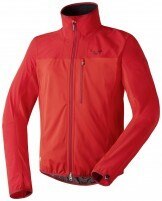 The Nitro is a lightweight ski mountaineering jacket made with breathable Crazy Endurance fabric. That means it’s also abrasion resistant and repels dirt and water. Just what you want in a jacket for ill-defined mountain adventures. The Nitro has an ergon.. If the roads are still closed and the approach to your line has 4 miles of undulating, gently rolling terrain that will be a nightmare of skins on/skins off transitions, you need a ski that functions as much as an approach tool as it does a steep skiing s..
We love the name almost as much as the ski. Voile designed this mountaineering tool to help you succeed in those alpine missions with a specific goal, AKA an Objective. While it can’t guarantee success, you can rest assured it won’t cause a failure. The i.. The Elan Ibex 84 Carbon XLT is the antithesis of unforgiving or twitchy carbon skis. A buttery smooth flex-pattern contributes to a drastically fun, worry-free attitude with pleasant flotation in soft stuff. Modern torsional rigidity and dampening qualiti.. Still the widest platform in Atomic’s high-end backcountry lineup, the Backland UL 85 is the ticket for all-season usage. From deep powder in the winter to those spring corn harvests, the 85mm waist will perform. Atomic redesigned the tip from the Ultimat..
Crazy Idea made the Cervino pant for ski mountaineers used to going race speed. The outside weave is smooth and flexible for friction-free movement. The inside contains a light fleece lining to add a little warmth. Stirrups and boot buckle cutouts keep th.. Behold, the CAMP G Comp Racing. Breathability and dexterity were prioritized when designing this glove, but not at the expense of real-world features. The upper is made of a breathable elasticized micro-fiber whereas a durable anti-slip treated synthetic .. The Cervino pants have a sleek feel on the outside and has a soft fleece lining within. One of the most comfortable ski pants around, the Cervino is optimized for speed. The Vuelta knit is stretchy and nearly friction-free. The cuffs are zippered to get a..